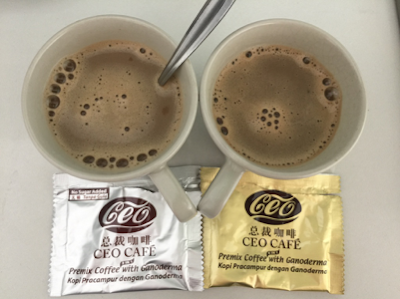 As a melting pot of cultural and ethnic diversity, Malaysia is able to enjoy an unmatched choice of unique and delicious cuisines. And we Malaysians do take our food seriously. Mamak culture and the search for the best specialty hawker stalls are both taken very seriously by a huge percentage of the population, no matter their background. That being said, these habits we have created for ourselves may not be the best thing for our health. The incidence of and death from diseases such as high cholesterol, diabetes and obesity are constantly on the rise. Cancer is now believed to affect 90,000-100,000 people in Malaysia alone. It is estimated that one in every four Malaysians will develop cancer by the age of 75 and is considered the third leading cause of death in the country, contributed to by factors such as smoking, being overweight and a poor diet. However, by making small changes in our diet, it is possible to avoid having to go through such trouble. By simply adding these ‘superfoods’ to your diet, you can lower your risk for cancer and go about leading a healthier life! 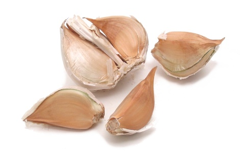 A flavor synonymous with Asian cuisine, garlic has amassed a bad rep for the smelly breath it gives you after meals. However, the same compounds which are responsible for that smell may be able to stop the formation of carcinogens (cancer causing substances) in your body and kill cancer cells. On top of that, it can reduce the risk for colon cancer and battle the microbes responsible for stomach ulcers, which have the potential to develop into stomach cancer. To ensure the most benefit from this superfood, just let it sit for 15-20 minutes after being peeled and chopped, before cooking them. This will activate enzymes in garlics and release the sulphur-containing compounds. Your parents lied. While they can improve eye health, carrots don’t actually improve your eyesight. They do however contain beta-carotene, which may protect your cells' membranes from toxins and slow cancer cell growth. They also provide vitamins and phytochemicals (chemicals found in plants to protect it from bacteria, viruses or fungi) which can protect you from an assortment of cancers. For best flavor and benefit, steam or boil the carrots whole before cutting them and serving them however you plan to. Mum was right when she told you to eat your spinach. 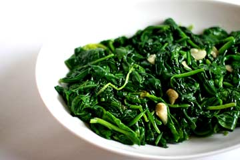 While it won’t give you raging forearms like Popeye, spinach is rich in Carotenoids Lutein and Zeaxanthin. They’ve been shown to remove damaging free-radicals (natural by-products of the body’s chemical reactions) that can lead to cancer. It also contains folate which helps repair DNA and produce new cells, as well as fibre which is good for, well, you know. It’s best eaten raw or lightly cooked, so a spinach salad or a bowl of steamed spinach is best if you’re looking to benefit from this anti-cancer hero. Although often seen as a punishment by children around the world, Broccoli remains a top recommended super food by physicians and researchers alike. It contains phytochemicals called glucosinolates which are protective enzymes, and the strongest of which is sulforaphane. Broccoli produces these like a champ, and eating it may reduce your risk for cancer by detoxifying harmful substances or as an anti-microbial agent (specifically against H. pylori). Although a greasy cheese sauce is the preferred method for many to get these down, it’s best to steam and cook broccoli with garlic and olive oil. “They turned as red as a tomato” is a go to expression to show someone’s embarrassment, but there’s nothing embarrassing about this fruit. Its red color is attributed to a phytochemical called lycopene. Tests with lycopene have shown it stopping cancer cell growth, speculatively by boosting the body’s immune system and interfering with abnormal cell growth. Diets high in lycopene have pointed to reduced risks of prostate cancer. It’s best to eat cooked or processed tomatoes, which have had all the lycopene squeezed out of their cells to be absorbed. The best part is, that means pizza and pasta is actually good for you, well at least the sauce. Berries are known to be a superfood from the amount of benefits they can provide. On top of possibly slowing cancer cell growth, they can possibly protect one from memory decline and heart disease. 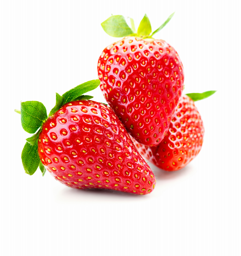 Strawberries are rich in antioxidants like vitamin C and ellegic acid, which seems to accelerate enzymes that destroy carcinogens and slow tumor growth, as well as flavonoids which can suppress DNA damaging enzymes linked to lung cancer. by making small changes in our diet, fitness routine or lifestyle. The insurance provider AXA Affin has recently joined with the National Cancer Society of Malaysia (NCSM) to support those who have suffered from cancer on their path to recovery. For every post that links to their 110 Cancer Care website, they will sponsor one day of funding for daycare usage at the NCSM Treatment Centre for a patient. If you are interested in collaborating and helping out in this endeavor, please contact Danial at danial.lissborg@lionandlion.com to see what you can do.